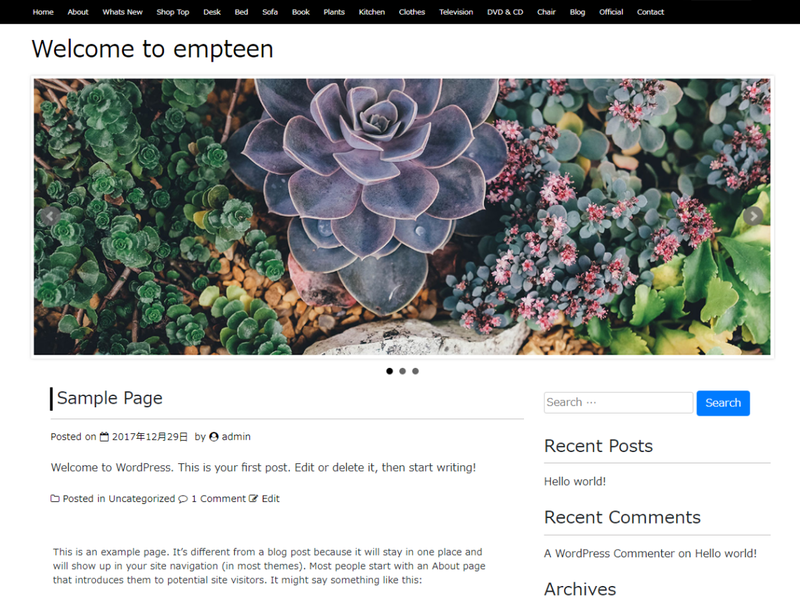 “empteen” is a theme bundled with “bxslider for WordPress”. You can put both stabled picture and a slider. Also “WP Content Copy Protection with Color Design” plugin is bundled to protect from content stealing. The theme itself uses Bootstrap. It`s a responsive design that is adaptable to smartphone, tablet, and PC. You can use this as it is, or for customizing. Make it for your business websites, official websites, private blogs, etc. It is a simple suitable theme for everything.